national smile month – Hayden Consulting – Where Your Success in Business and Life Matters! June, the last month of the second quarter – let’s make it rock! How about a Straighter Summer Smile? If you are a teen or adult who has been putting off having your teeth straightened because you don’t want to endure the discomfort and unsightly metal construction of traditional braces, we’re pleased to introduce you to Invisalign®, an “invisible” orthodontic alternative. Summertime is a great time of year and it can also be a busy time of year. We encourage you to remember to take the time to squeeze in your regular dental visit before the summer months fly by. Regular dental visits are so important to your overall health. Watermelon Seed Spitting Week: 27-30 – Serve fresh watermelon slices just minus the seed spitting part. 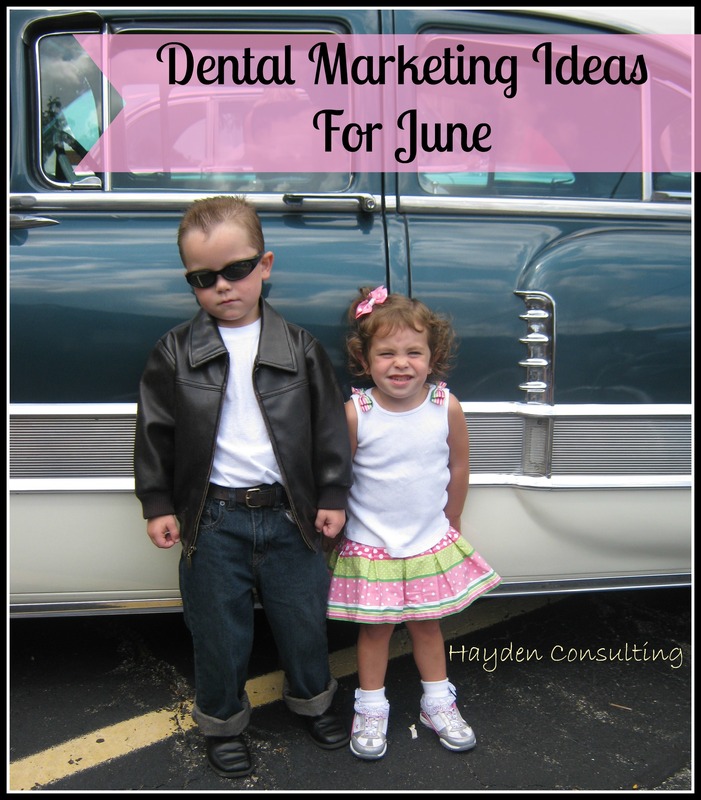 Hope you enjoy these ideas and are able to use some of them to help make the month of June a fantastic one for you, your team and your patients. Please let me know how you plan to use the ideas and what the outcome is. I love to hear about your success stories!! As always, if you have any questions, comments or need more help to create a successful marketing campaign for your practice, I’m ready to help! Email: bhaydenconsulting@gmail.com or send me a message on facebook.